You've done your research, saved your pennies and made your way to the dealership – you're ready to buy a car. But before you unite with your new baby and drive away, there's a crucial step you should take. One of the final items on your pre-purchase checklist should be getting your new ride inspected. You may consider an independent inspection to be another unwanted and unnecessary expense, but even the newest models and most reliable vehicles can be prone to unseen issues and one-off maintenance problems. Thus it's important to consider your mechanic's inspection as an investment toward your future with your car. AutoTrader noted the dealer likely won't make mention of an independent inspection, which means the onus is on you to get the ball rolling. You have to not only let the dealer know that you'll be ordering an inspection, but you also have to make the appointment to have the car looked at yourself. Fortunately, the source assured that your job as a buyer stops once you set everything up. After scheduling with the mechanic or garage to look at your prospective purchase, they'll follow up with a full report when they've completed their job. Do you know what sorts of things you should be on the lookout for before signing on the dotted line? The standard vehicle inspection covers anywhere from 50 to 100 points, according to consumer blog Angie's List. This refers to the number of areas of the car's functionality that are examined, so a 100-point inspection will look at more than a 50- or 75-point variety. Of course, 100 points is a lot of ground to cover, but in general there are a few key areas that almost all mechanics will look at. According to AutoGuide, brakes, radiators, coolant and suspension are all likely candidates for close pre-purchase scrutiny, as these are some of the most important parts for your car's continued operation. But as a buyer you should also familiarize yourself with an overview of what's covered and, more importantly, what won't be covered, so you can make sure to fill in any gaps yourself. For example, the source noted that many inspections don't look at the condition of the car's body, but it's a good idea for you to be on the lookout for rust or other signs of damage or neglect. If you're looking to buy a used car, head to NJ State Auto Auction. There are hundreds of Carfax-certified cars on the lot, and an in-house finance team ready to help you afford the vehicle that's right for you. What Should You Keep In Your Driver’s Survival Kit? Anyone who has spent time in the Boy Scouts knows the importance of being prepared. Even if you didn't don the uniform, it's certainly a maxim that should be taken to heart. While car safety features and good driving can go a long way in keeping drivers and passengers safe, it's impossible to predict or prevent every possible snafu. In instances where things don't go as expected, having the right tools on hand can be the difference between inconvenience and disaster. Here are some things to keep in mind when crafting your own driver's survival kit. Principle No. 1 when it comes to preparing for emergencies is to hope for the best, but plan for the worst. It's a good idea to assume that Murphy's Law counts double when you're in your car, which means that you'll want to prepare for anything that could potentially go wrong. Of course this isn't to say that you should tote around an extra engine "just in case," but in general it's better to over​-prepare than under​-prepare. Automobiles are some of the most complicated machines around. Thankfully, you don't really have to worry about every single component when you're planning for emergencies. In general, there are a few areas that are either more prone to potential issues or more essential to your car's basic operation that you should take into consideration when putting together a survival kit. As the Department of Motor Vehicles noted, a spare tire is perhaps one of the most necessary emergency repair items to pack, along with a jack and a tire iron, so that if you do encounter a flat, you'll be well equipped to deal with it. On the subject of tires, a pressure gauge is a good thing to carry around, especially since these tools are small and can easily be stowed in your glove compartment. Jumper cables are important to have on hand as well to get yourself out of a pinch if you end up with a bum battery. Nothing is more important in an emergency than your own safety, so make sure your kit has some crisis basics. Reflective cones or flares were recommended Consumer Reports, as they allow you to create a safe perimeter around your car if you break down on a busy road. Flashlights can help you see better, and they will make you more visible to other cars as well. If your car needs repairs, make an appointment with the NJ State Auto Auction Total Car Care Center. The knowledgeable mechanics on staff can help you diagnose any maintenance issues, and will perform any necessary repairs to keep your car on the road. Posted in How To | Comments Off on What Should You Keep In Your Driver’s Survival Kit? Is There A Science To Buying A Car? If you've spent any length of time shopping for a car, you likely know that it can be a complicated process. 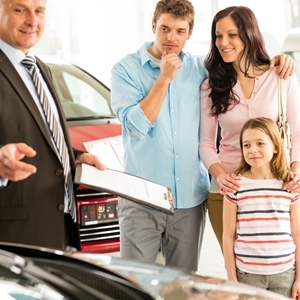 Unlike other purchases, you wouldn't necessarily just show up to a dealership and buy a car on the spot. A new ride is a big investment, and a car's value can be subject to any number of factors, from the age of the vehicle to its history to what time of year you're shopping. While there may not be an exact science to making the most of your car-buying experience, there are a few tips to keep in mind when you're ready to head to the lot. 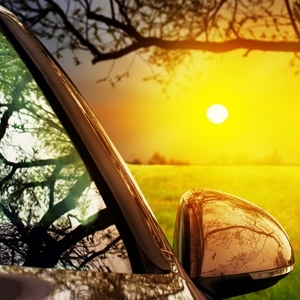 The warmer months of the year are good for more than just beaches and barbecues – evidence indicates that summer may be the best time to spark a love with a new set of wheels as well. According to TrueCar, August tends to see the lowest transaction prices for car-buyers, meaning motorists may want to consider adding one more item to their back-to-school shopping lists. This may seem arbitrary, but there's a reason for the price drop. The source indicated that many manufacturers tend to rotate their model seasons toward the end of the summer. As a result, shoppers are likely to have better luck finding a less expensive buy in last year's models as the newer vehicles roll onto the lot. There may be evidence to indicate that you should check your calendar before heading out to shop for a car – not only can the month you look influence price, but the day of the week may as well. In general, according to TrueCar, Sundays tend to yield the best results if you're looking to save money on a purchase. Data found that average transactions tended to be around $2,000 cheaper on Sunday than on Friday, which was the most expensive day to purchase a vehicle. Another interesting point is that Black Friday, the unofficial national day of shopping and consumerism, is a prime time for motorists to find a bargain as well. Time magazine, citing data from TrueCar, pointed to November 25, 2011, as an example, with dealers offering an average 9.5 percent discount off of the manufacturer's suggested retail price for many models. 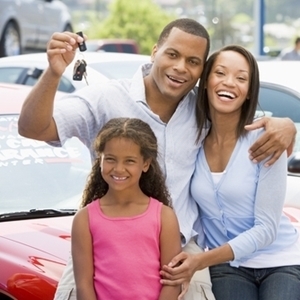 If you're ready to shop for a used car, head to NJ State Auto Auction. You'll find hundreds of Carfax-certified cars on the lot, and an in-house finance team to help qualify you for a loan. Posted in General Auto News | Comments Off on Is There A Science To Buying A Car? Everyone likes to think of themselves as safe drivers. After all, many of us get into our cars every day without incident. But the fact remains that driving requires a focus on safety. Regardless of any individual's skill behind the wheel, there are some conditions that are inherently more dangerous than others. Knowing where danger can come from may help keep both you and your passengers safe. According to the AAA Foundation for Traffic Safety, speeding is one of the major contributing factors when rollovers are involved. In fact, the foundation's data reported that 75 percent of rollover accidents resulting in death took place on rural roads with a 55-mph speed limit or higher. Of course, that's not to say that speed is bad and you should never travel fast – in fact, keeping your speed low on highways can actually increase danger. In fact, Esurance noted that some states administer traffic tickets for driving too slowly that are actually more expensive than speeding tickets. However, drivers must recognize the added danger of traveling at higher speeds. Nighttime is much more dangerous for drivers than the daytime. According to data from the National Safety Council, Traffic death rates are three times as high at night as they are during the day. Conditions are worsened due to reduced visibility. Interesting to note is that around 66 percent of nighttime traffic fatalities affected people who weren't properly buckled up. In a similar vein, weekends tend to be more dangerous statistically, Forbes stated. However, while nighttime accidents are often due to a lack of visibility, weekend crashes are a result of simply more cars being on the road. Just because certain conditions can be more dangerous doesn't mean that drivers should avoid them completely. In fact, there are quite a few steps that can be taken to keep everyone safe. The biggest and most important thing any motorist can do is drive with greater awareness of his or her surroundings. Use safety measure like seatbelts and, above all, eliminate distractions. The National Highway Traffic Safety Administration was quick to point out that cellphone use can reduce driver focus by as much as 37 percent, making talking or texting on the road one of the most dangerous things you can do. The flip side, of course, is that it's quite simple to eliminate this major safety risk by simply not using your phone while behind the wheel. If you're shopping for a used car, head to NJ State Auto Auction. You'll find hundreds of Carfax-certified cars on the lot, and an in-house finance team dedicated to helping you finance the vehicle that's right for you. 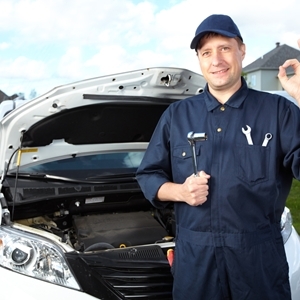 What Are Some Of The More Common Car Repair Tasks? If you've ever owned a car before, you'll know that occasional repairs are inevitable. Even if you treat your car as well as it treats you, you're going to find yourself in the mechanic's garage every now and then. While nobody likes it when their car goes on the fritz, understanding what some of these more commonly performed maintenance tasks are may help to ease your mind the next time you hear a rattle or feel a bump that shouldn't be there. One of the most common maintenance tasks is also one of the most basic. Almost everyone knows the importance of changing your car's oil on a regular basis, but what you may is why it's so important. As Car Talk reminded, motor oil lubricates the important parts of your engine that do much of the work when it comes to moving your car. If left to sit for too long, dirty or insufficient oil leaves your engine poorly lubricated, causing it to grind against itself. In layman's terms, this is setting you up for some serious repair costs down the road, so make sure to keep your oil in check. You make sure to put gas in your car when needed, but your vehicle's fuel system requires more maintenance than that. Fuel filters can clog, especially if you use lower-grade gas, Autos.com said. Also, if you're a driver who likes to get every last gallon out of the tank before filling up, be warned. If you make a habit of driving on less than one-quarter tank of gas often enough, you can damage your fuel pump, which may need to be repaired or replaced if the clog is significant. 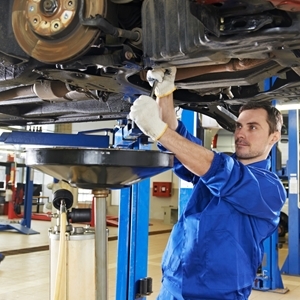 When it comes to safety, there may be few more important vehicle components than your brakes. Fortunately, while you should have your brakes checked fairly regularly, repairs tend to be fairly simple. According to Autos.com, brake pad replacement constitutes the most common type of repair in this area, as the pads will commonly wear down due to regular use. The good news is, this is a fairly standard procedure, and won't shoulder you with a massive bill either. Even better, keeping on top of your brake pad replacement can help prolong the life of other, more costly brake components that you wouldn't be so happy to have to replace. If your car needs repairs, head to the NJ State Auto Auction Total Car Care Center. The knowledgeable team of mechanics can help diagnose problems, and can perform any needed maintenance to keep your car on the road. Posted in General Auto News | Comments Off on What Are Some Of The More Common Car Repair Tasks? If you're on the fence about whether to buy a car, there's some good news. Purchasing a vehicle is always a significant financial investment, but for those who are interested in a used car, the time to purchase may be now. Recent economic recovery has affected the auto market, and as a result, pre​-owned vehicle prices have begun to sink drastically. One potentially unforeseen consequence of the 2008 financial recession was a major increase in the number of cars that were turned over or sold to dealers. As a result, many used car providers have found themselves with an influx of pre​-owned vehicles. When the economy began to turn around in recent years, more people had more money to spend, and the increase in number of used cars meant that prices dropped lower than they had been in years. According to Reuters, this is merely the beginning of a years-long boom in used car values that drivers considering buying should take advantage of. Estimates indicated that the average price of used cars will drop by an additional 5 percent by 2017, and the National Automobile Dealers Association noted that the average used car would run around $15,000 by 2016. All this number crunching is good news for buyers, as it means that the time is ripe to head to the dealer and finally take the plunge into car ownership. However, just because prices are low doesn't mean that drivers should rush into a purchasing decision. Making an informed choice when buying a used car is essential. Once you've got the cash, you should make sure to arm yourself with information as well. Especially with more cars being on the market, prospective buyers should be extra careful to get the details on whichever model catches their attention. Cars.com recommended that knowing a used car's background – its repair history, how many miles are on its odometer and even things like what kind of use the car saw in its past life – is helpful for determining whether a ride is a good investment, regardless of the price tag. Regardless of what kind of a deal you're offered, make sure to cover your bases. Request the vehicle's repair history, take it for a test drive and even have it inspected by an independent mechanic to make sure that you're not purchasing a car that's going to cause trouble for you down the road. When you're ready to buy a used car, head to NJ State Auto Auction. You'll find hundreds of Carfax-certified cars on the lot, and a helpful in-house finance team that can assist you in obtaining a loan for your vehicle. In today's world, the beep of a car alarm activating has become a common sound for drivers parked in public spaces. We are constantly exploring new measures to keep our cars safely in their parking spaces and out of the hands of car thieves. It makes sense – after all, autos represent significant investments and are essential to many people's livelihoods. Fortunately, evidence indicates that we may be able to relax a little bit. 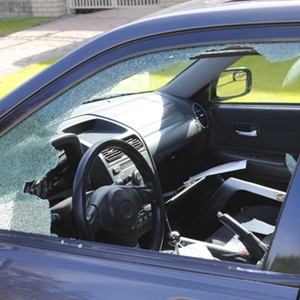 Incidents of car theft seem to have dropped across the country for a number of reasons, making this an ideal time for wary motorists to reconsider their dream of car ownership. The days of unwitting drivers returning to their parking spots to find their cars stripped or completely gone may be coming to a close. A recent article from The New York Times indicated that instances of auto theft have dropped exponentially in the past two decades. While one in every 50 New York City residents experienced a stolen car in 1990, today the numbers have plummeted to just one in 1,100 – a drop off of 96 percent. This is good news for motorists, for sure, but raises an interesting question of what exactly has caused the sharp decline in shady practices. It's become a cultural truth in the 21st century that technology improves many aspects of our lives, and security is no exception. As cars have become more technologically advanced, so too have the measures we use to protect them, from the simple Club up to the GPS anti-theft system. One ingenious piece of auto protection fits right into the palm of your hand, The New York Times explained. Introduced in the late '90s and early into this century, engine immobilizer systems prevent cars from starting without the presence of a specific microchip present only in the ignition key. As a result of this technology, hotwiring – starting a car without a key by bypassing its ignition sequence – may become a thing of the past. One important point to make is that this technology has hit the car thieving business as a whole. As The Washington Post indicated, more complicated anti-theft systems mean cars take longer to steal and come with a higher risk of being caught and prosecuted. Ultimately, swiping somebody's ride simply isn't good business anymore. If you're looking for a high-quality used car, head to NJ State Auto Auction. You'll find hundreds of Carfax-certified cars on the lot, and an in-house finance team ready to help you afford the used vehicle that's right for you. There's little doubt that with the advent of cars in modern society, everything changed. From travel to leisure, our lives have been forever shaped by the introduction of these complex and convenient machines. But the history of the car's development is long and speckled with individual triumphs and astounding firsts that are worthy of recognition in their own right. Here are some of automotive history's grandest, if lesser-known, landmark firsts. While Henry Ford is often credited as the father of modern automobiles with the Model T assembly line, he actually wasn't the first to the table in the auto production game. In fact, Auto Evolution pointed out that car manufacturer Oldsmobile was actually mass-producing cars a full seven years before the early runs of the Model T. In April 1901, the curved-dash Olds began seeing "mass production" – defined at the time as more than 10 cars per week, each selling for $650. Summer road-trippers may not be surprised to learn that the cross-country drive has been around almost as long as cars have. According to Jalopnik, Dr. Horatio Nelson Jackson and Sewall K. Crocker set out in 1903 to drive from San Francisco to New York, bulldog in tow. The stalwart trio managed to make the nearly 2,600-mile journey before anyone else, despite only 150 of those miles being driven on paved roads. The emergence of the car radio is more of a spectrum than a single event. Esurance estimated that the first radio was attributed to an 18-year-old who, in 1922, simply strapped a portable radio to the door of his car. However, it wasn't until eight years later when Motorola brought its 5T71 radio to cars on the consumer market. In fact, the company's name itself is an homage to this early endeavor – Motorola being a portmanteau of "motor" and "victrola." Anyone who's taken refuge in the cool embrace of their car's air conditioning in the summer months will appreciate this first. 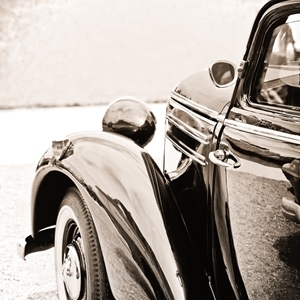 As Popular Mechanics reported, air conditioning has been around in some form or other for a couple centuries, but it wasn't until 1939 that motorists got to cool off on the go with an in-car version. Developed by car company Packard, the invention cooled down drivers but did little else. It didn't allow for dashboard temperature adjustment, and if you wanted to turn it off, you had to shut off the car's engine, pop the hood and manually disconnect the air conditioning from there. If you're looking for a used car, head to NJ State Auto Auction. You'll find hundreds of Carfax-certified cars on the lot, and an in-house finance team ready to help make your vehicle affordable. 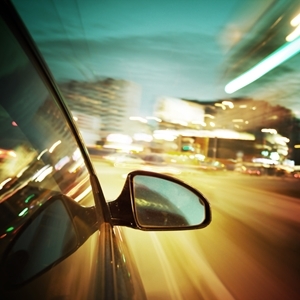 Your car works hard to get you where you need to go every day, but do you understand how? A collection of complex mechanical systems, your vehicle is an ecosystem all on its own, with countless components working together to offer you safe, convenient transportation. Of course, part of the appeal of a car is that it keeps you as comfortable as it does safe. This task falls to your brakes, suspension and steering. Your car's brakes are what transform it from a rolling safety hazard into a useful piece of transportation. You rely on your brakes to be responsive and effective, but how do they work? For such a simple task, your brakes are actually complex pieces of machinery. As CarParts.com explained, when you step on your brake pedal, a hydraulic system injects brake fluid into the wheel. The pressure of this fluid causes brake discs to push up against your car's wheels, creating friction and ultimately slowing it down. The next time you sleep through a long road trip, you should be sure to thank your car's suspension when you wake up. This system is responsible for ensuring you have a smooth ride regardless of road conditions. Comprised of a series of springs and shocks, the NTB Tire & Service Centers reported that this system is important for more than just keeping passengers comfy. In fact, vehicle suspension is an essential part of its handling. Without the stabilizing power of your car's suspension, bumps and potholes would jostle your car and throw off your steering, or even cause your tires to lose traction with the road. Needless to say, either of these would pose serious safety concerns. Like so many of the mechanical systems in your car, the steering is more complicated than you would suspect. Responsible for turning your wheels and keeping your pointed in the direction you want to travel in, power steering is included in nearly all models these days. This is a hydraulic system that uses fluid injection to assist with applying the necessary force to your car's wheels, enabling you to turn your several-ton car without exerting Herculean effort. As NTB reported, power steering also helps make sure you don't steer too hard – it responds to how much force you exert on the wheel and compensates accordingly, keeping you on the straight and narrow. If you're looking for a used car, head to NJ State Auto Auction. You'll find hundreds of Carfax-certified cars on the lot, and an in-house finance team ready to help you get approved for a loan. Cars are among the most complex machines ever made, and people can often be intimidated by their complex mechanical inner workings. While you don't have to be a professional mechanic or even an extreme enthusiast to enjoy your driving experience, having a basic working knowledge of some of the star parts of your car can be useful, especially when it comes to maintenance. These four rubber superheroes do all the heavy lifting when it comes to keeping your car on the road – literally. They may seem simple, after all, the wheel was one of the first human inventions, but in reality there's a lot of science at work keeping you safe. According to the University of Southern California Illumin engineering review, your tires are all about tread. This is the part that grips the road and keeps you from sliding around. You should make a habit of checking your treads to make sure they're still in working order – if they're too worn, it could be time to change your tires. If there were to be a heart and soul of your car, it would be the transmission. This is one of the most complex components a vehicle contains, both in terms of its construction and the science behind it. In layman's terms, your transmission is what makes your car go. As the Science Channel indicated, it takes the energy generated by the engine and sends – or transmits – it to the part of the car that turns the wheels known as the driveshaft. It's a very basic concept that is practically witchcraft when it comes to the actual execution, which is why "transmission" is the last word you ever want to hear your mechanic say in the shop. Humans are made up of about 70 percent water. While cars may not be quite so aqueous in their construction, they still contain a good amount of various fluids, some of which you're probably already familiar with. Motor oil is probably the most well-known and, arguably, the most important to the auto's operation. According to Autos.com, oil lubricates the engine as it turns and burns and keeps the parts from wearing out. Of course, there's more in your car's veins than just motor oil. 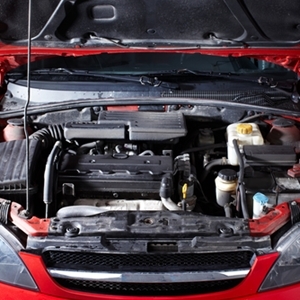 Everything from brake fluid to washer fluid help your car function. Keeping on top of your fluid maintenance is important. Not only should they be checked regularly and refilled as needed, certain changes in coloration or viscosity could indicate potential problems. If your car needs maintenance, head to the NJ State Auto Auction Total Car Care Center. 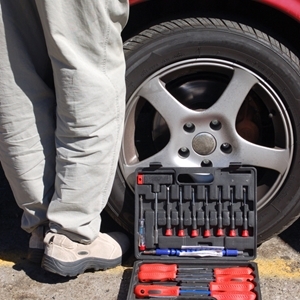 The on-site mechanics will help you identify and problems and get your car back on the road. Cars and celebrities are a match made in heaven, and auto manufacturers know it. This is why more stars have been driving their way into ad campaigns in recent years. Using star power to sell a product is far from new, but the double glitz factor of famous people in fancy cars is particularly intriguing for consumers. Especially when it comes to high-end luxury models, pairing a famous face with a high-end car can be a good way for manufacturers to generate an added buying incentive for those who may be on the fence about splurging on a new set of wheels. The German car company launched a campaign back in March to raise awareness of its new A3, the first in the manufacturer's line of affordable luxury cars, AutoNews.com reported. In order to generate buzz, the company turned to several celebrities in a minute-long commercial mixing Hollywood star power, intriguing cuts of the Audi A3 and the music of rock superstars Queen. Everyone from athletes to musicians to actors lent their talent to the project. One of the most notable additions was Ricky Gervais, comedian and television producer responsible for shows like "The Office." The funny man's appearance book-ended the commercial, with the messaging encouraging viewers to "stay uncompromised." This veteran of the luxury market recently embraced and celebrated its U.K. heritage by enlisting the help of several prominent English celebrities in its new campaign. According to MarketingWeek, jaguar's campaign, dubbed FeelXE, sees British superstars such as Idris Elba loaning their faces and voices to the company's cause. Post-2008 recession, Jaguar is looking to reestablish the wow factor driving a high-end luxury car can evoke, and pairing its sleek wheels with some of the most well-known individuals from the U.K. is certainly a move aimed at doing just that. Of course, not all campaigns are designed around selling luxury cars. Some, like Avis' recent star-studded series, just want to give people what they need. The rental car company launched a handful of spots featuring celebrities such as fashion photographer Nigel Barker and beach volleyball player Gabriella Reece, GlobalNewswire stated in a press release. Rather than position expensive cars as solid buys, the celebs advocated Avis as a sensible rental option for business travelers in need of a car while on the road. If you're looking to buy a high-quality used car, head to NJ State Auto Auction. There are hundreds of Carfax-certified cars on the lot, and the dedicated finance team can help create an affordable financing solution. While we often do our best to keep our cars on the road, both for sentimental and financial value, sometimes you have to recognize when it's time to move on. If you think your ride may be on its last legs, here are a few things to keep in mind. It's time for an introductory lesson in economics. If money out exceeds money in, it's probably time to sell. This is the golden rule when it comes to deciding whether your car is a fixer-upper or a trader-inner. According to Edmunds, determine if the repairs will cost you more than your car's market value, or compare it against one year of monthly payments. If fixing it up is more costly than either of these, it may be time to say your goodbyes. As with any advice, this is intended to be more of a guideline than anything etched in stone, but for drivers who are truly on the fence, it can serve as a helpful point from which to evaluate options. Some people may be reluctant to trade in their car. If you're one of them, it helps to know what you can expect financially. You may feel it's cheaper to repair problems with your car than it is to trade it in and buy a new one, and in many cases this is true. After all, spending a couple hundred bucks on a new part – or even a couple thousand for more in-depth repairs – is better on paper than spending substantially more for a whole new car. However, the older your car is, the more likely it is that you'll encounter maintenance issues on a semi​-regular basis. Every make and model is different when it comes to reliability, of course, but in general, a 10-year-old model won't run as smoothly as a 3-year-old one. Even if small repairs are cheaper, they can add up over time and nickel-and-dime you to death. 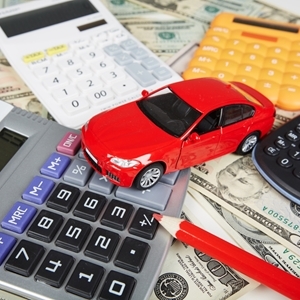 Depreciation is an unpleasant reality of car ownership, but it's still something to keep in mind. 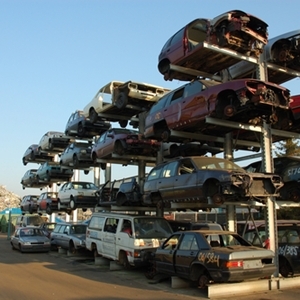 Cars lose value exponentially, so the longer you hang on to it, the less you'll get in trade. In fact, keeping your car for five years instead of three can result in an 18 percent loss of value, according to Edmunds. Smart drivers should decide if saving money now is worth the hit they'll take when they do trade in later. If you're shopping for a used car, head to NJ State Auto Auction. There are hundreds of Carfax-certified cars on the lot, and an in-house finance team available to help get you approved for a loan. Shopping for a car can be as confusing as it is exciting. Understanding the vast array of special features and options many cars come with, not to mention matching them to your specific needs as a driver, can be frustrating. And this doesn't even take into account the added stress of dealership hype surrounding their shiny newer models. You may have reservations about purchasing a pre-owned vehicle, but a quality certified used car can be an idea option for a buyer who is looking to get a reliable ride without breaking the bank. Here are some points to consider when you're deciding what car to buy. If spending less is your primary goal, opting for pre-owned is the way to go. New cars are laden with hidden costs and financial pitfalls that you won't have to deal with when you buy used. In addition to typically bearing a lower sticker price, new cars depreciate, or decline in value, at an alarming rate. Based on data from Edmunds, a new car loses 9 percent of its value as soon as you drive off the lot. In fact, a mere three years after you bring your new ride home, you can expect it to be worth 40 percent less than what you paid for it. Contrast this with the value of a used car, which Consumer Reports mentioned depreciates at a rate of 27 percent in the first three years, and you can see that pre-owned cars offer a much higher value-for-money ratio. Sure, you know that used cars cost less, and can even save you money down the road, but isn't it true that you get what you pay for? Won't you just be signing up for a host of mechanical problems when you opt for a used model instead of a new one? According to Consumer Reports, not really. In fact, for lower-income buyers, there hasn't been a better time to buy a pre-owned car and trust in its reliability. Even between 2007 and 2014, the overall reliability of 5-year-old cars increased by 33 percent, the source pointed out. As CNN reported, this is in part due to many manufacturers adopting or expanding their used car certification programs. Dealers and manufacturers are putting more of their support behind pre-owned models, implementing stricter inspection standards and warranty coverage, and providing additional peace of mind. When it's time to shop for a used car, head to NJ State Auto Auction. You'll find hundreds of Carfax-certified cars on the lot, and the in-house finance team is available to help approve you for an affordable auto loan. The hot summer sun is a welcome arrival for those looking to spend their days outside, but it can also be dangerous. Anyone who's stepped into their car on a summer day knows just how hot they can get when left in the sun. Unfortunately, some people still leave pets or even children alone in overheated vehicles, sometimes with tragic results. Whether planning a road trip or simply heading out for groceries, be aware of the dangers of leaving loved ones in the back seat in the hot sun. It may seem unthinkable, but the fact is that drivers leaving pets and children in the back seat while they run errands is more common that you'd think. Even if you're just planning on stepping inside a store for a few minutes, the heat building inside your car can be deadly. The National Highway Traffic Safety Administration reported that parents leaving their kids in parked cars for too long resulted in 19 heat-related fatalities in 2014. To help combat this threat and raise awareness, the NHTSA launched National Heatstroke Prevention Day July 31 to remind parents of the dangers they and their youngsters face. According to SafeCar.gov, a child is susceptible to a fatal heatstroke reaction once his or her temperature reaches 107 degrees Fahrenheit – and parents may be shocked to learn that car interior temperatures can rise to these dangerous levels even on relatively mild days in the 60s or 70s. Preventing such tragic occurrences is often as simple as taking an extra moment of awareness before heading inside. Drivers are urged to remind themselves of their child in the back seat – consider leaving your purse or wallet in the back seat, which will require you to check the rear of your car when you leave. One mother commissioned the creation of a smartphone app called Kars4Kids – an app that sends a reminder to your phone when you leave a child waiting in the car for you. Regardless of how quick you think a jaunt into the dry cleaner's will be, cars can heat up at an alarming rate, and in today's world with parents balancing more on-the-go tasks than ever, it's easy to lose track of who's waiting for you, and for how long. For your pre-owned vehicle needs, head to NJ State Auto Auction. You'll find hundreds of Carfax-certified cars on the lot, and an in-house finance team ready to help approve you for a financing plan to make your choice of vehicle affordable.